HIGH TACK – BLUE: For use on rigid, thicker substrates such as copper panels. MEDIUM TACK – RED: For use on circuits, photo tools, artwork and glass. MEDIUM TACK – LIGHT BLUE: General purpose appropriate for all the substrates but with special emphasis on cleaning thin or delicate substrates. 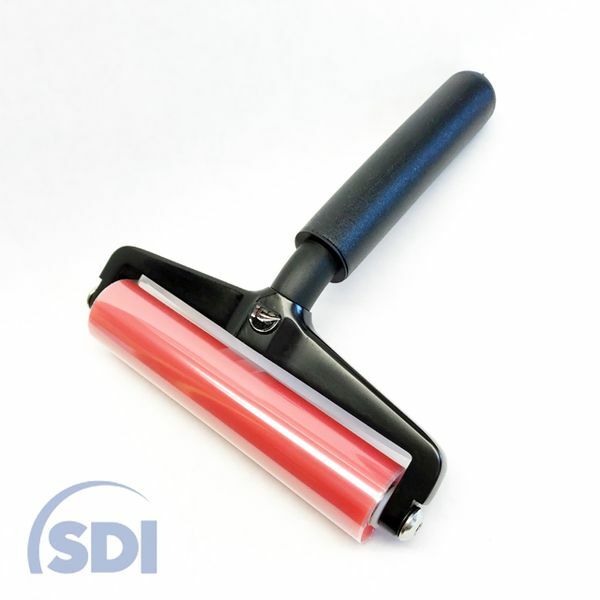 The hand held dust removal rollers are available in multiple handle configurations.